Anybody would look cool in this car. The Aston MartinJames Bond drove in "Goldfinger" is being auctioned in London tonight, where it is expected to fetch as much as $5.5 million. The sports car comes with the ejector seat, rotating license plates and machine guns Sean Connery had at his fingertips in the legendary film, as well as "Thunderball." The car also has a rear bulletproof shield that can be activated with the push of a dashboard button and a top speed of 145 miles per hour. The car being auctioned by RM Auctions Automobiles of London is one of two Aston Martins factory-modified for use in the early Bond films, and it is the only surviving example. 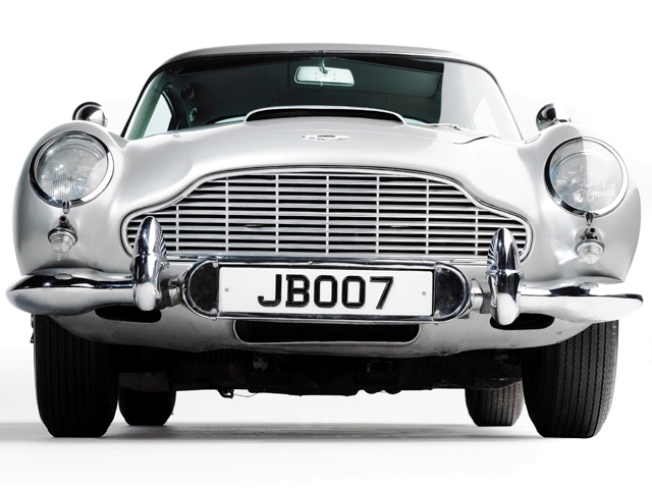 The other 007-modified Aston Martin was reported stolen in 1997 and has never been recovered. Selected Reading:The Associated Press, IMDb, Telegraph.